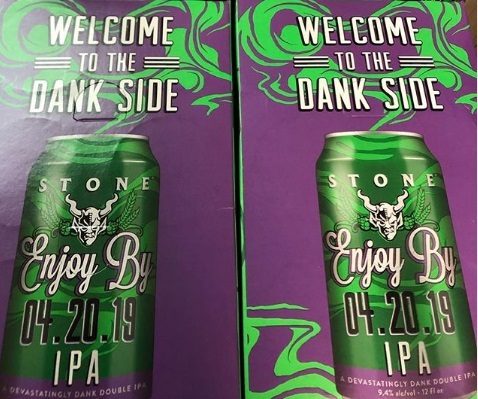 Consistently delivered faster than any bottled or canned IPA on the planet, Stone Enjoy By IPA facilitated a paradigm shift in respect for and enjoyment of hoppy beers by ensuring craft beer fans the ultimate level of freshness. 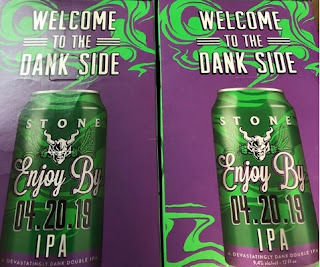 We brew this intense double IPA with more than 10 different hops, employing hop-bursting and dry-hopping techniques to amp up the peach and tropical fruit notes and overall hop factor. Brewed specifically NOT to last, this devastatingly fresh, golden beauty should be enjoyed within 37 days.